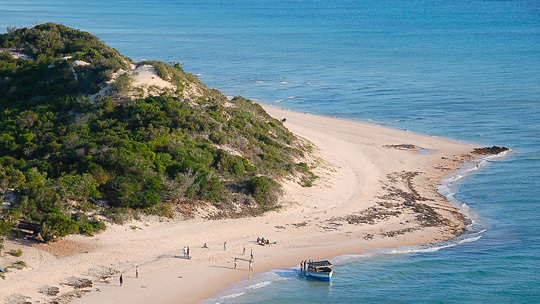 Two Mile Reef is a barrier reef protecting a narrow channel between the high sand dunes on the southern tip of Bazaruto Island and the long, white beaches of the North point of Benguerra island. The top of the reef protrudes at low tide and the area commonly referred to as the Aquarium is considered one of the best snorkelling spots in the world. 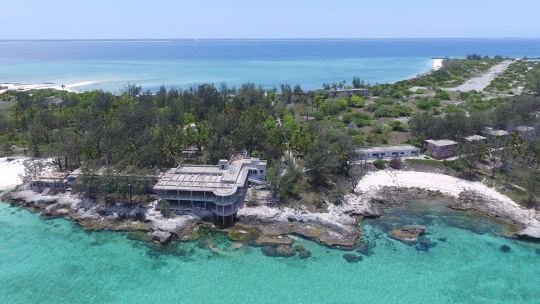 Grab grandma, the kids and head out with us to the island of Magarugue’s natural reef pools for the perfect family excursion. With child-friendly reefs it is ideal for families with young children and the more relaxed holiday maker. 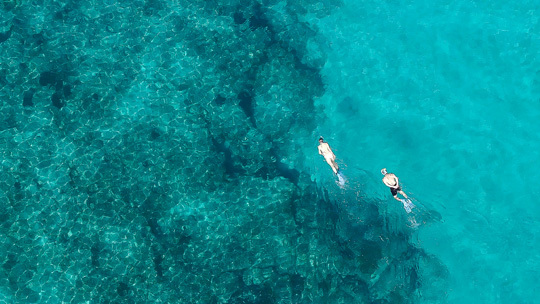 The crystal clear water around the island makes for a beautiful snorkeling experience. Take a walk around the island and experience its natural beauty - from the tranquil beaches to the extraordinary rock formations. Paradise and the waters around it has something to offer everyone young and old. I have dived and snorkelled all over the world, from the Great Barrier Reef in Australia to the Blue Hole in Belize but the diversity and quantity of fish in the Bazarouto Archipelago is truly stunning. Big Blue were amazing, a well run, friendly operation. I hope to see you again! Snorkelling is basically swimming on the surface of the water. You will receive a snorkel set consisting of three pieces of equipment: the mask, the snorkel and fins. You do not need any special skills. If you can swim and you feel comfortable in water, you are all set to go! If you are not a strong swimmer you can always ask for a life jacket to help you stay at the surface of the water. CAN I WEAR CONTACT LENSES WHILE SNORKELLING? Hat or cap, sun cream, sun glasses and a joyful spirit!